Home is located at 1765 Maritime Oak Drive, access to the community is located on Selva Marina Drive at the entrance to Atlantic Beach Country Club. Hello, I’m interested in 1765 Maritime Oak Dr and would like to take a look around. The details on 1765 Maritime Oak Dr: This house located in Beaches, Jacksonville, FL 32233 is currently for sale for $949,000. 1765 Maritime Oak Dr is a 2,720 square foot house with 4 beds and 4 baths that has been on Estately for 8 days. 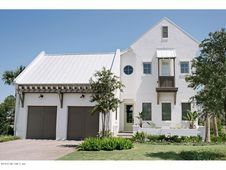 1765 Maritime Oak Dr is in the Beaches neighborhood of Jacksonville and has a WalkScore® of 34, making it car-dependent. This house is in the attendance area of Mayport Middle School, Atlantic Beach Elementary School, and Duncan Fletcher High School. Listing Courtesy of: NEFMLS and CONTINENTAL REAL ESTATE GROUP.